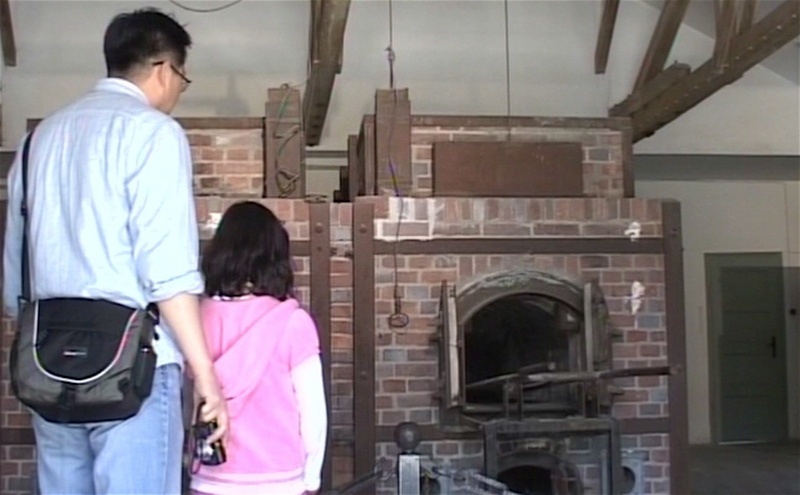 The In Time of Place project developed from work undertaken for the experimental video installation, Beautiful Dachau (2006). The title of the film was drawn from a poster on a bus shelter outside the former concentration camp that announced: 'Beautiful Dachau, things to see and do'. The slogan encapsulates the challenges facing a town whose name is associated with the torture and murder of thousands of people. This video installation and the issues it explores are examined in recent writings, including 'Spatial transfigurations in Beautiful Dachau' (The Journal of Architecture, 2006) and 'Beautiful Dachau's Contested Urban Identity', in Visualizing the City (Routledge, 2007). The film foregrounds a traumatic space and the erasure and reappropriation of place. Following its debut installation at the TRANS visual cultural exhibition and conference in Madison, Wisconsin in 2006, a series of screenings, keynotes and invited lectures on the project have been given in 2007 at the Constructions of Conflict Conference, Univ. of Wales, and at Harvard, Princeton and other institutions and venues.